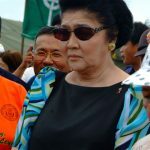 MANILA, Philippines – The Sandiganbayan’s fifth division has slapped a garnishment order on the multi-million peso deposits of Ilocos Norte Rep Imelda Romualdez-Marcos at the Philippine Veterans Bank (PVB) to satisfy a P36-M judgment cost imposed on her late husband, former President Ferdinand Marcos, for siphoning funds from the National Food Authority (NFA) in 1983. In a letter submitted to the graft court yesterday, PVB legal officer Rydely C. Valmores, confirmed that Mrs Marcos has an account with the bank’s main office servicing department (MOSD) branch. Valmores made the disclosure in compliance with the notice of garnishment dated June 20, 2012 sent by Sandiganbayan acting chief sheriff Albert A. Dela Cruz. “In compliance with the said Notice of Garnishment, PVB-MOSD Branch was instructed to hold/freeze the account sufficient to cover the garnishment amount,” the bank officer said. 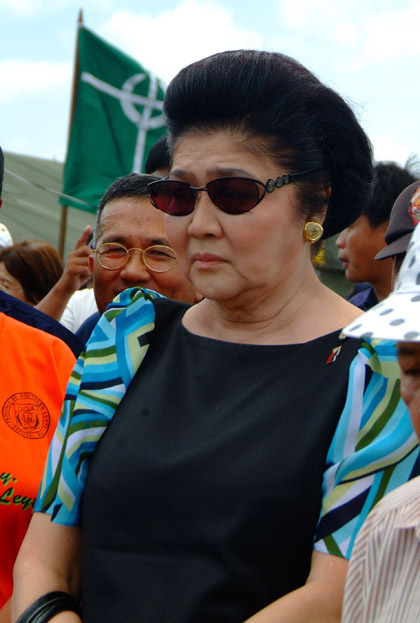 The freeze order arose from a Sandiganbayan decision on Sept 9, 2010 ordering Mrs Marcos to return to the government the P10-M NFA funds secretly transferred by her late husband to a private account on July 27, 1983. In its ruling, the graft court held that former President Marcos pocketed P10-M that was withdrawn on his personal orders from the NFA’s account at the Philippine National Bank. According to the computations made by Sandiganbayan accountant Rodito C. Laggui Jr., interests on the P10-M for almost 29 years has amounted to P34-M.
Mrs Marcos was also ordered to pay 28 years worth of interest on the principal amount with additional penalties of P1 million in moral damages; P500,000 exemplary damages; P250,000 nominal damages; and P200,000 attorney’s fees. Sheriff Dela Cruz said once the judgment cost has been fully satisfied, the Sandiganbayan would release custody over 3 real estate properties of the Marcos family in San Juan City that were earlier seized for possible public auction to raise the required amount. These were residential lots with the biggest one measuring 1,584 square meters; a second one with an area of 864 sq.m. located on P. Gueverra corner Maude Streets; and a 932-sq.m. property situated on Claro M. Recto Street, all in San Juan City. A second bank account in the name of Mrs Marcos at Metrobank-Batac, Ilocos Norte branch was also garnished but Metrobank garnishment head Tina Marie L. Sabado said it only contained P100,289.20.